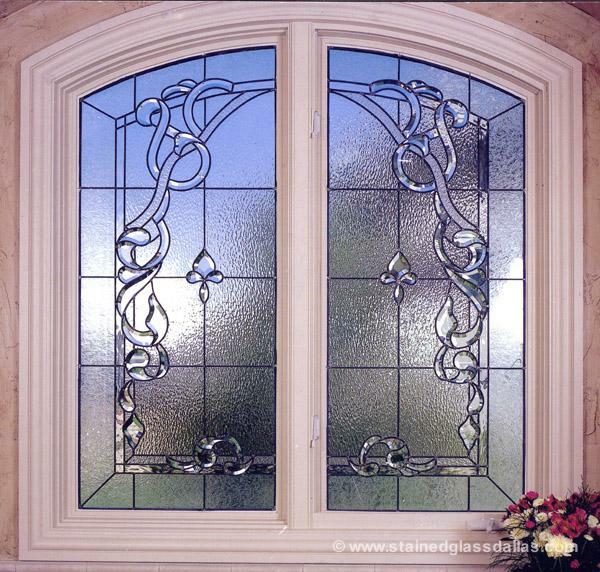 Stained glass is first and foremost an art piece, designed to be more beautiful than a regular pane of flat glass. This however does not mean that it can’t be functional. Stained glass can function to add both privacy and elegance to your Dallas home, replacing blinds or shades in many rooms. 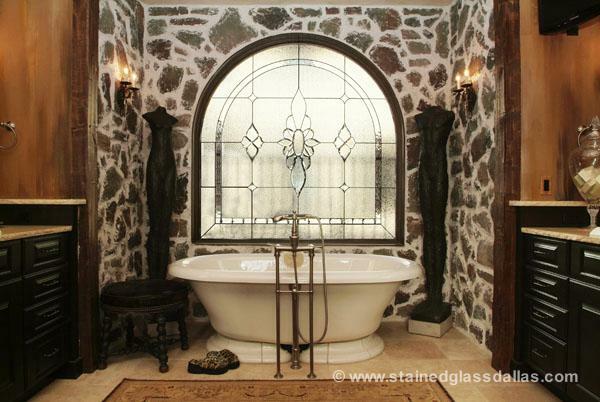 Perhaps the most useful location for stained glass is in your bathroom. 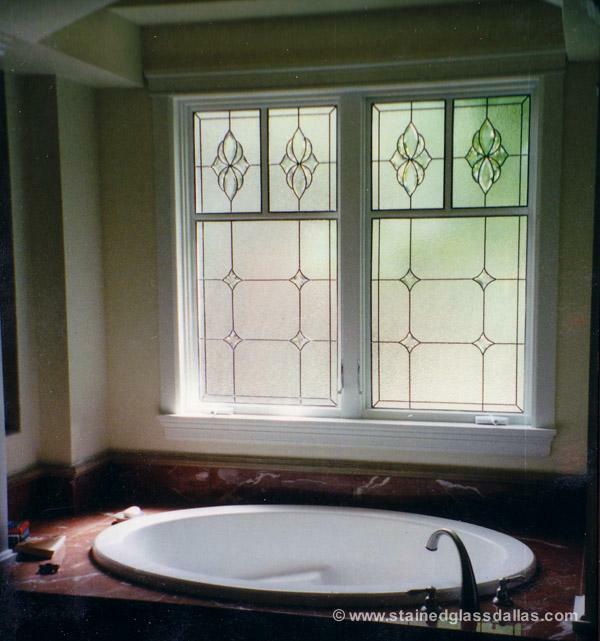 In many Dallas homes there is a large picture window or bay window directly next to a tub. While these windows are beautiful, they are not particularly functional in terms of providing the privacy desired when in the bathroom. 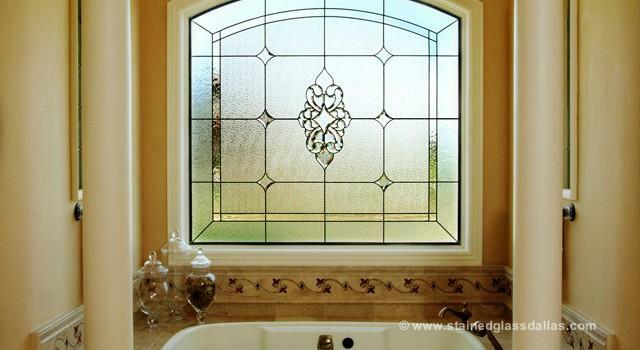 Stained glass windows offer an excellent solution that makes a beautiful artistic addition to the bathroom and allows natural light to pass into the room without opening or closing any window coverings, all while ensuring privacy. 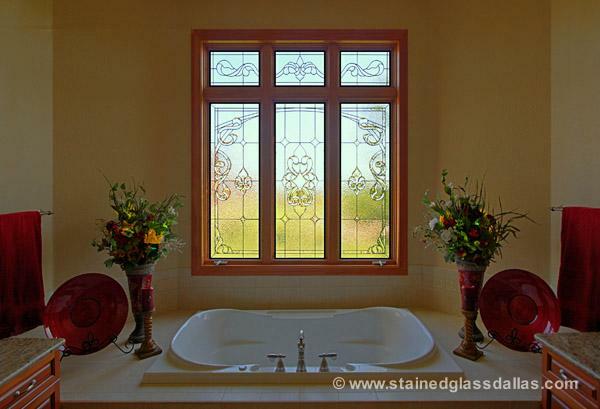 Stained glass can be applied to almost any type of bathroom window. 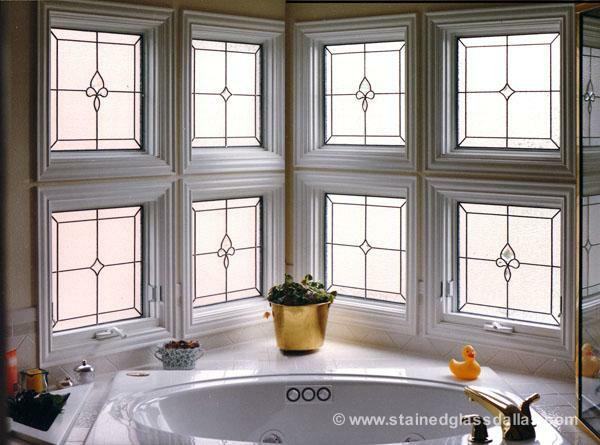 Whether you have a large picture window functioning as a single pane of glass, a vertical or horizontal slider, casement, or nearly any other type of window, Scottish Stained Glass can work to create a custom solution that matches your desires. In bathrooms, because of the inherent issues with moisture, we almost always install our stained glass sandwiched and sealed between two other panes of glass. This allows our glass to be easily cleaned and remain free of any fogging or mold issues. Installed this way the window will last for decades if not centuries without loosing any of the structural integrity or artistic brilliance. 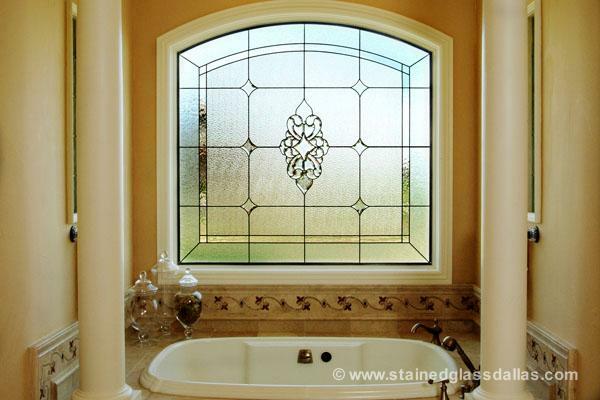 When installed this way, the stained glass bathroom window becomes one of your home’s featured attractions, increasing your home’s resale value and differentiating it from other homes in the Dallas area, allowing it to stick in the minds of potential buyers. Because we custom design and build each piece of glass specifically to meet your needs, every design is different and unique to your tastes or your home. If you are considering a new or different solution for your bathroom window coverings in or around the Dallas area, please don’t hesitate to call us today to schedule your free in home consultation.